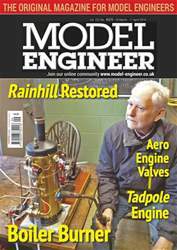 John Linkins has followed in the footsteps of his model engineering Grandfather, a builder of several fine model locomotives. One of them, however, was started over 50 years ago and was never quite finished until he presented it to his grandson, John. 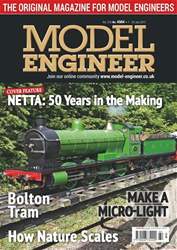 Read John’s moving story of the locomotive’s completion last year and it sits proudly in the cover of this issue. 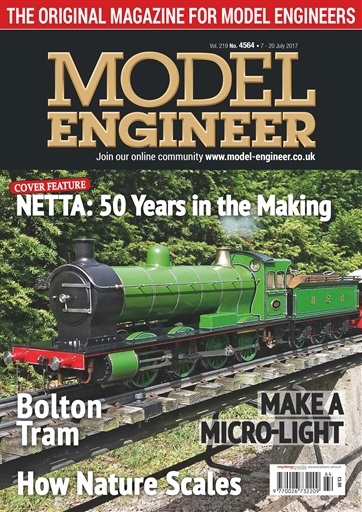 Peter Russell completes the model built to a Willy Schneeberger design based on a Maudslay type table engine, David Ashwell brings the story of the Newton Abbot track to a close and Robert Walker’s little launch engine takes to the lake installed in Brahminy. 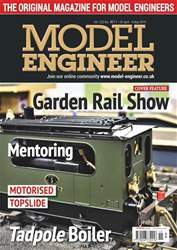 Brian Baker progresses the tailstock die holder - a project for a novice engineer - and Ashley Best starts work in earnest on the Bolton tramcar’s chassis. 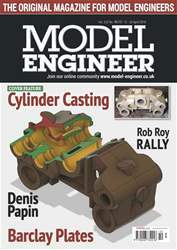 Everyone’s favourite - Postbag - runs to three pages this issue and Geoff Theasby takes an entertaining look at the goings on in the Club Scene.